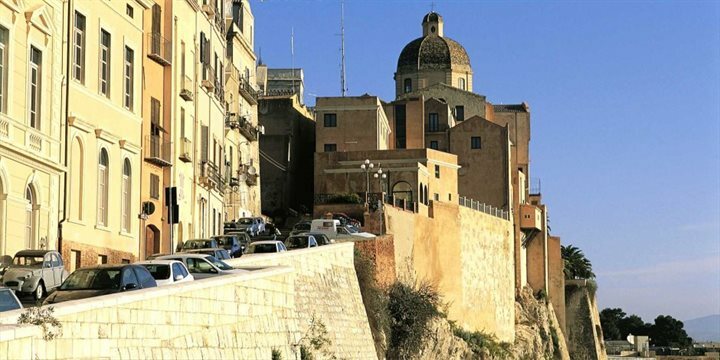 At the centre of the Golfo di Cagliari, the city of Cagliari often remains unexplored but it's well worth a visit, especially to the old town which is very impressive with its castle and medieval walls. Given its geographical location, Cagliari's port is central to the city’s whole identity. Over the years, trade has been plied with Phoenicians and Lebanese to name just a couple. However, as is so often the case, a successful and prosperous port city attracts hostile intent. A long history dating back to the Roman times during which time there has been incursions and invasion by Vandals, Goths, Saracens and latter cessions to the Aragonese. Cagliari also suffered heavy bombardment during World War II. That said the city remains a vibrant and thriving place with a morning rush hour and lunchtime throng of office workers in the Trattorie and Ristorante. There are various sights to hold a visitor's interest, highlights include the grand Pisan Towers and battlements, the Citadelle dei Musei (a complex of museums) and the Cathedral di Santa Maria.